Whitechapel performing in San Francisco, CA at The Fillmore. March 10, 2017. Photo credit: Jared Stossel. The air outside was bitter and cold last Friday night in San Francisco. This is rather ironic, given that inside, a cloud of sweat was forming above the crowd as a circle pit broke out and pretty much stayed in formation throughout the duration of the evening at the Metal Blade Records 35th Anniversary Tour. Death metal has the ability to open up mosh pits of ridiculous stature, and this show was no exception to the aforementioned statement. Due to traffic, I was sadly late and missed sets from both Necromancing The Stone and Allegaeon. With that being said, I do hope to attend a show with both of these artists in the future so that I can truly see what they have to offer in the live setting. 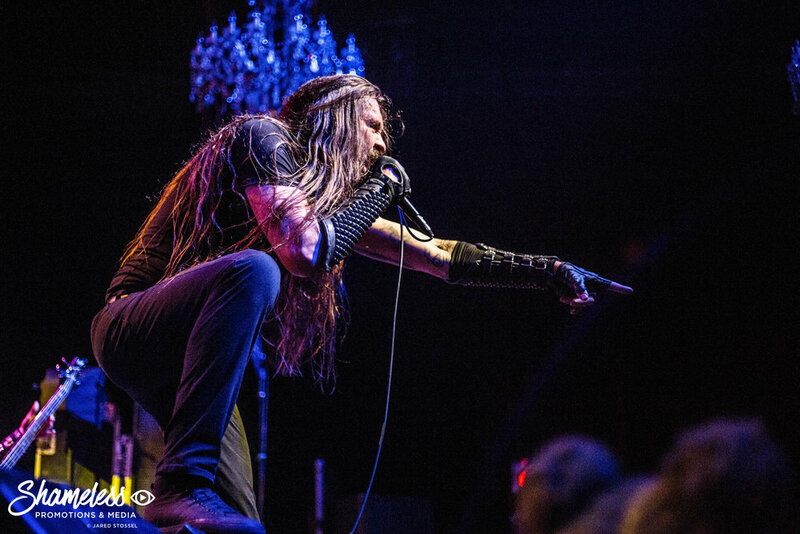 As I pulled out my camera and prepared my notebook for when I left the photo pit, Goatwhore were already taking control of the San Francisco crowd. The four-piece that I can only classify as a mix between sludge, speed, and death metal. Segments of their live set would put some traditional thrash metal icons to shame. It was amazing to me throughout their set that there was only one guitarist in the band, let alone one that was about to drive the set with each riff. Their song structures vary. Some are non-stop thrash metal marathons, which others are much slower and in the world of death metal. But all provide and contribute to the general sense of chaos that one can find at a show of this nature. 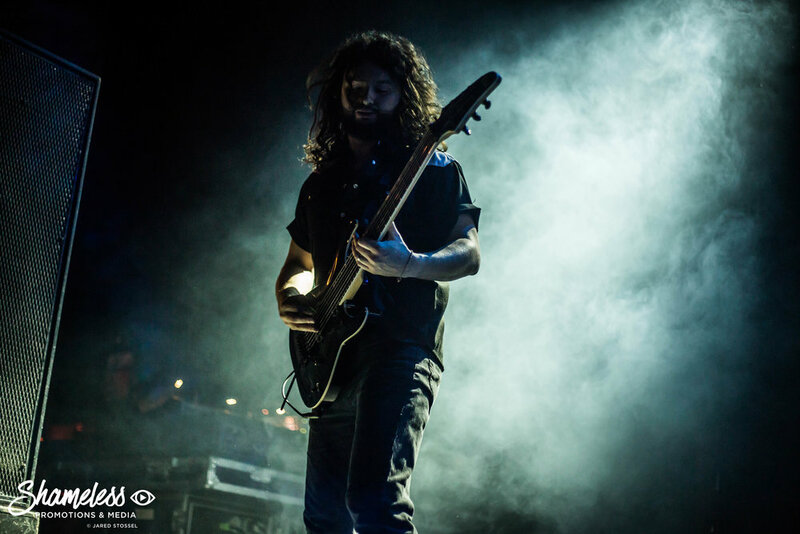 Each member also brought with them a colossal amount of energy, and a great deal of head-banging. The vocalist for Goatwhore, Ben Falgoust, has no instrument, but proceeds to humorously air guitar on stage in between taking a breath and screaming his vocals without mercy to a rabid crowd. Overall, a fun band to watch. Cattle Decapitation, a band who I interviewed several years ago when the site was in its very early beginnings, took their places on the stage and proceeded to (no pun intended) slaughter. Travis Ryan can produce some of the gnarliest death metal vocals I've heard to this day. 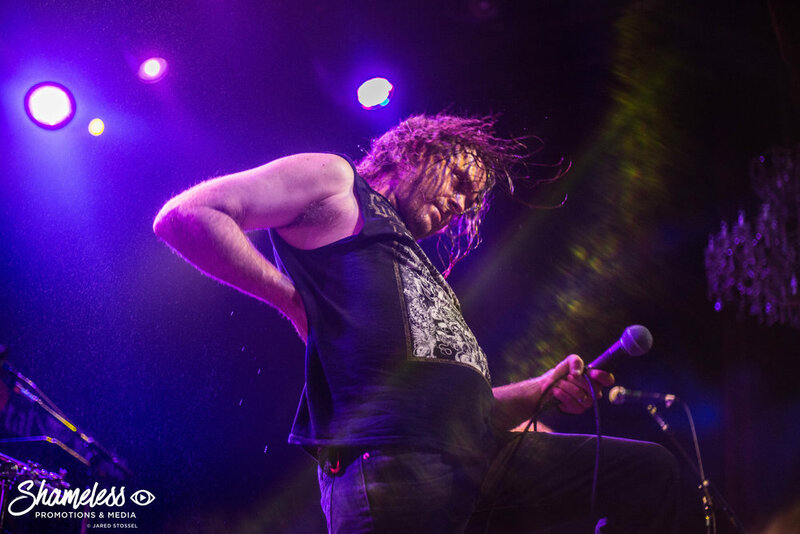 Throughout their set, he switches between demon-like growls and screeching wails, the later of which penetrate the walls of The Fillmore in an intense fashion. He exaggerates his movements to accompany each vocal accentuation and inflection. At one point, Ryan tries to spit in the air and catch it with his hand - succeeding. His on-stage presence is a sight to behold. The vocals are indistinguishable unless you read the album liner notes, but it's clear that the energy is what crowds devour, feeding off of the band's instrumental attack like a pack of bloodthirsty cannibals. Cattle is truly a band that could beat out any death metal band on the market; or at the very least, give them a run for their money. Down-tuned, chugging guitars, accompanied by visceral blast-beats from drummer David McGraw, showcase a band that has brought death metal back to its primal form. The five-piece is evidently in-tune with each other as they play to their crowd. Even in moments where the song is blazing ahead at its fastest possible speed, none of them lag behind one another. There are numerous time signature changes, and bass drum hits seem to get faster and faster as each track goes by. Whitechapel, take the stage just a little past 9:30 PM. 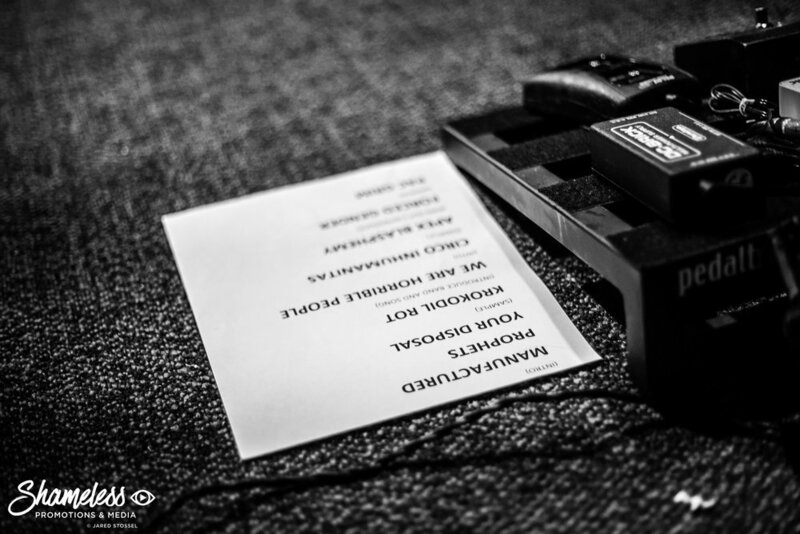 From the moment they hit the stage, it becomes clear as to why they are the headliners of this tour. 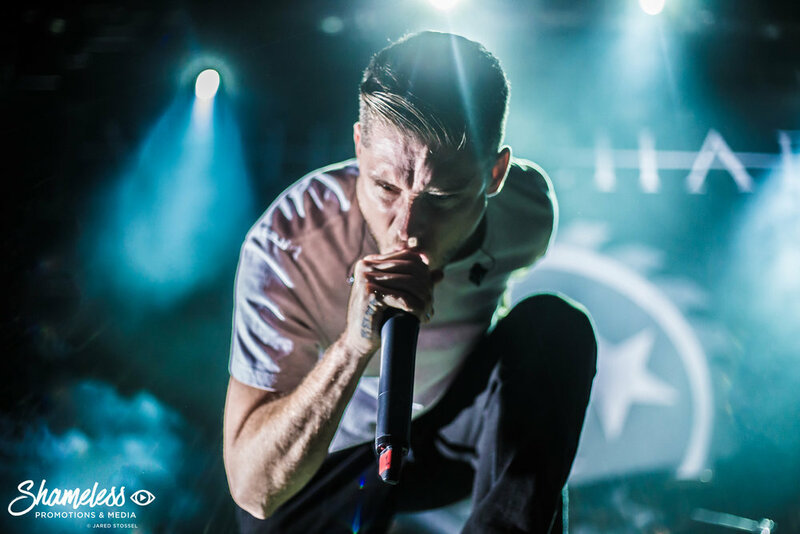 While Whitechapel are a death metal band, they have a bit of a flair for the theatrical side of things. There are no grandiose stage props, but the stage features a number of risers for all members to stand on and command the crowd. They listen, forming circle pit after circle pit throughout the night, as they batter through their five-album catalogue. 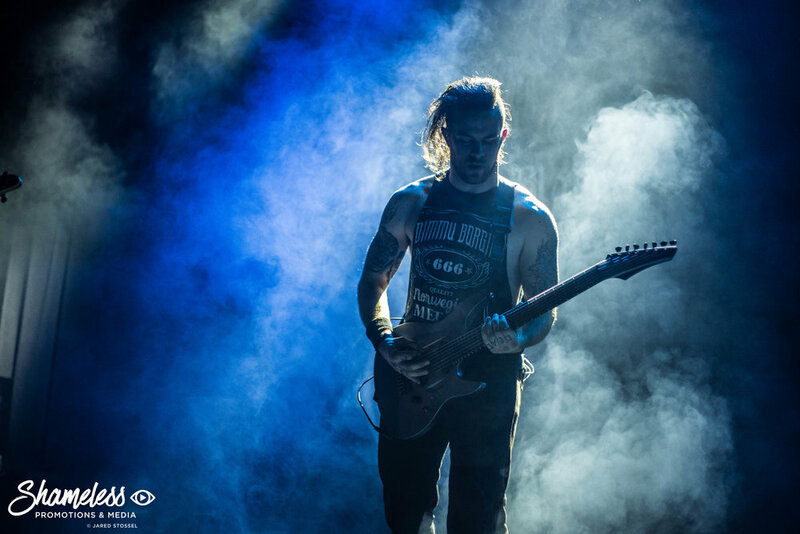 In contrast to a band like Goatwhore, Whitechapel have not one, but three guitarists. Two is rather common, but three can seem like a little much to the common concert-goer. But in order to pull off the heaviness of songs that Whitechapel bring to life, three guitarists enhances the sound and tone of each track spectacularly. Much like their openers, there are numerous timing transitions throughout the songs, but they don't miss a beat. To add, vocalist Phil Bozeman owns the entire room, decimating any naysayers in the audience with his iconic death metal growl. 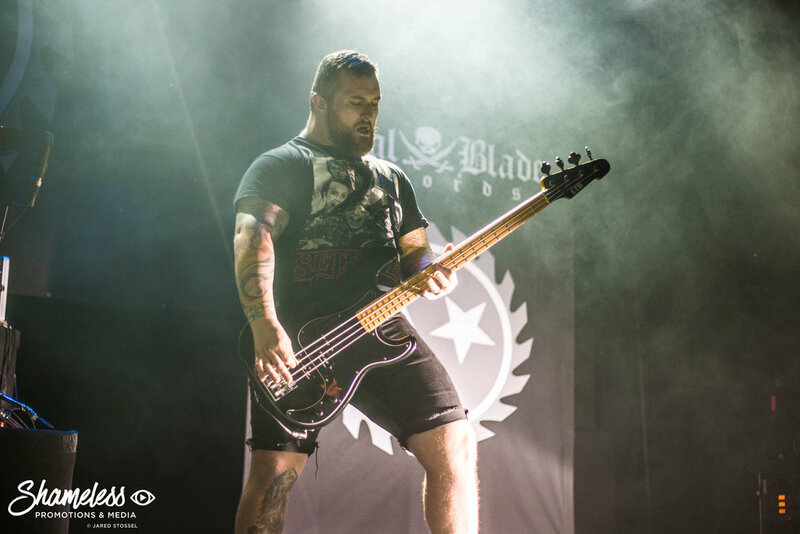 Metal Blade Records is a label in the industry that clearly showcases a little bit of the old while ushering in a new generation of artists that can carry the flag for the death metal sub-genre. Their thirty-fifth anniversary is one that was celebrated with intensity, gusto, and a great deal of entertaining artists.